New Yorker H.W. Adams is responding to a letter he received from Kansas Governor St. John. 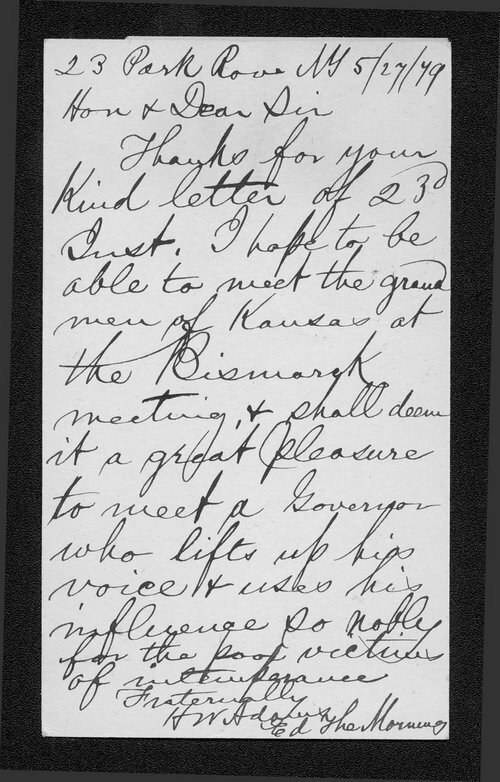 He hopes to meet "the grand men of Kansas" and the Governor at the meeting in Bismark, which most likely refers to Bismarck Grove in Douglas County, Kansas.